Since the first wars were fought, men have come up with new innovative ways to make war more dreadful and deadly and eventually making us ponder the future of warfare. The basic aim of the war was to finish the enemy off as fast as possible and win over the cause they are fighting. As technology advances, so does the face of warfare. In the 20th century, all the notable wars were mainly fought with ground troops. One nation’s army strength was determined by the number of soldiers it had. The navy and airforce also had importance but not as much as the army had in those days. However, the navy and the air force in today’s wars act as a great support as they can pinpoint and destroy the targets which cannot be done by the ground troops. The scenario of warfare began to change after World War II as the US dropped the atomic bomb over Nagasaki and Hiroshima in Japan. Scientists, engineers, researchers, all have started to build new ‘war gadgets’ and also are coming up with new innovative ideas to finish off the enemy in one go and most importantly to reduce the loss of military personnel. The new trailer of the much acclaimed Call of Duty Black Ops 2 gives us a hint on how future of warfare might be. 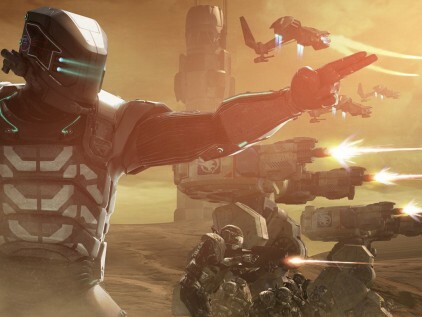 We have seen a lot high end technology in sci fi games which might not be possible in the the next 100 years but this game shows us the possibility of the style of the future warfare changing in the next 20 to 30 years. Is this how the future of warfare will look like? Although in production, this invention can be the next big thing in the US military. The advantage of deploying robot soldiers is that there is no fear of losing the lives of the soldiers although if all the robots are terminated, that would be drastic in terms of cost. A loss of billion dollars? The robot in the video can almost do anything even when under chemical exposure. Although it might not be in the service but you never know what the govt would do. They would obviously not mention that robots are going to war, it would be done in secret not letting the enemies know. UAVs are those, as the title says, air planes without a pilot. One of the popular UAVS are the Drones which are already in service and are carrying out deadly attacks over the regions in Pakistan and Afghanistan. Most of drones are not controlled by pilots in the cockpit rather controlled from a control center miles away. 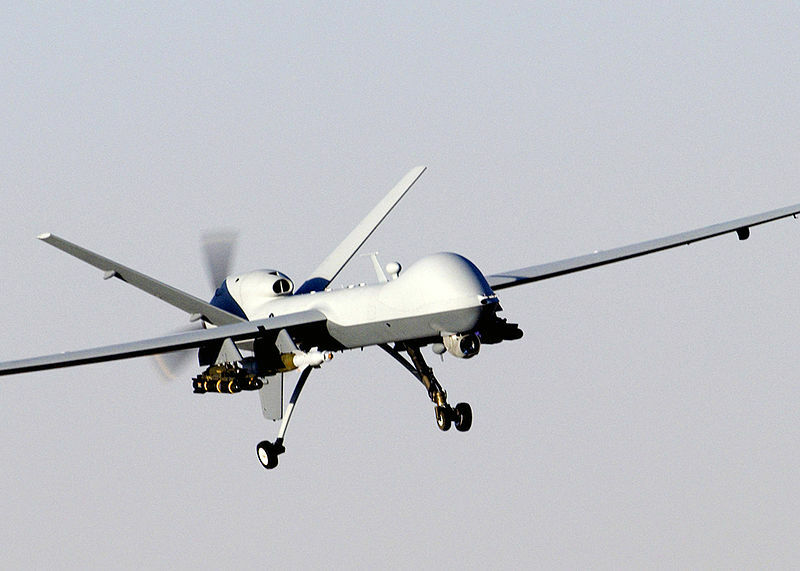 The MQ – 9 Reaper, code named Hunter Killer, is one such drone that is becoming a dangerous weapon against the enemy forces in Afghanistan and else where. There are ongoing debates over using these type of drones in Pakistan as it infiltrates without any clearance and carries out attacks on both civilians and enemy forces. If you remember the concept of the surrogates in the movie Avatar, where humans were hooked to machine which controlled the genetically engineered human alien hybrids, you might be seeing it coming in real life ! DARPA, would be developing such kind of technology where instead of these hybrids, robots would replace them. In the 2013 budget, DARPA would be investing about $7 million in the Avatar Project. According to their reports, the Avatar Program will “develop interfaces and algorithms to enable a soldier to effectively partner with a semi autonomous bi-pedal machine and act as the soldier’s surrogate ” It will allow the soldiers to remain out of harm’s way and will enable to complete complex missions. What’s the feasibility of this project ? We do not exactly know. It’s just interesting to see how DARPA invests on new war technology ! The very first thing for a nation which will be engaging in a war is to collect information without detection. To make information collecting easier and more effective, DARPA has developed the Hummingbird project. By the sound of its name, this robot is as tiny as the real hummingbird. Who would even figure out that this bird is a robot conducting surveillance ? This would give the forces an easy way to finish off the enemy. The picture at the left was the concept and the right is the developed version. Of course there are more projects to come in the future to bring a new definition in warfare. We mostly know about the progress made by the US but little do we know what other superpower countries such as Russia and China are pursuing. Maybe keeping their ideas secret from the US ? No matter what new war technology is developed, one thing is for sure, everyone including me detests war in every possible way and should not be ever initiated but unfortunately it seems our world is going to the worse direction. With tensions here and there, war might never be abolished. Albert Einstein seemed to figure out what type of weapons would be used in World War IV but not WWIII. Why? Because it is clear if there is ever a World War III, nuclear weapons would be used and the result would be catastrophic. Let’s hope nothing of this sort would ever occur and let all such technological innovations stay as a show piece and never come into use. So when all that kind of weapon will be apply in the battlefield ? Good research about the war. And yes i think Einstein is correct. By the way you missed the chemical weapon in your post which will be the future weapon to destroy manpower of any country. Darn ! Missed that point though. But the future of War I guess mainly lies on such AI fighter jets, drones and what not amazing we have to wait to see ! War has been in our history since the ancient times. I'm just hoping that peace will only prevail in this world. The future of war is Apocalypse in my opinion due to Nuclear weapons. Yes indeed Sahl, if and only if Nuclear weapons are used. Let's hope such will never happen. Nano and UAV machines are the wave of the future, i imagine as time goes on less and less people will be put in harms way on the front line by western counties as they use more autonomous and robotic devices. They are indeed the wave of the future. I believe nanotechnology will be used as the ultimate weapon one day !